Weighing in at almost 20,000 pounds, seven solid bench-like sculptures by artist Tom Joyce have been permanently installed outside the Museum of Arts and Design in New York. The site-specific, stainless steel forgings were crafted from industrial remnants retrieved from Scot Forge, an industrial forging facility outside Chicago, IL where approximately 250 million pounds of iron, copper and aluminum alloy are forged monthly and shaped by highly skilled, industrial blacksmiths. 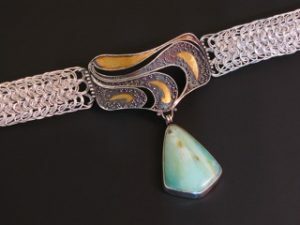 Victoria Lansford’s granulation and kum boo choker, “Rivers of Gold VIII,” recently received the Facere Jewelry Art Gallery Award in the exhibit Functional Art: The Wine Country Home at the Larson Gallery in Yakima, Washington. 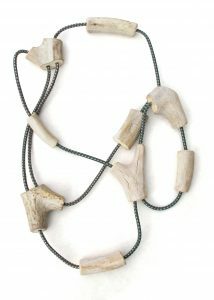 Tova Lund’s jewelry is featured in the June/July issue of American Craft. 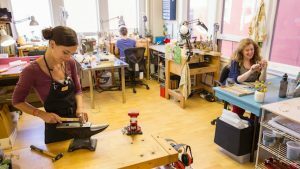 Lund’s work can be found at Gallery 360 in Minneapolis. 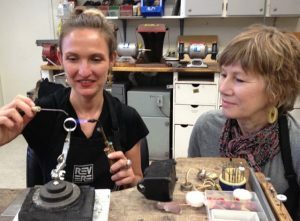 Robert Thomas Mullen recently became the Metals Artist-in-Residence at Craft Alliance Center of Art + Design in St. Louis. 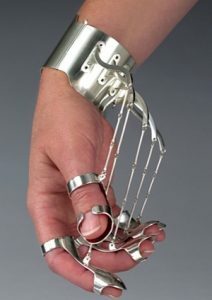 Most recently, he completed an artist residency at the Houston Center for Contemporary Craft. Harold O’Connor was featured in the cover article “Between Art and Nature” in Metalsmith magazine Volume 34 Number 2. 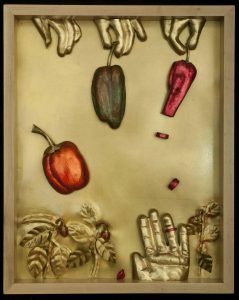 O’Connor’s work can be found at Patina Gallery in Santa Fe. 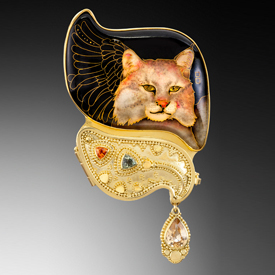 The Renwick Gallery of the Smithsonian American Art Museum recently accessioned a necklace by Nancy Worden. 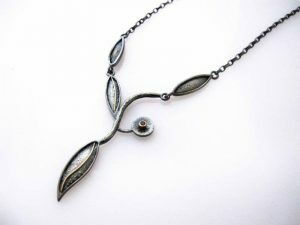 The necklace, entitled “The Family Reunion 2012,” was inspired by a family reunion that went sour. 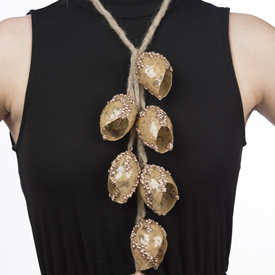 The necklace is made of gold-plated silver, brass, onyx, scorpions cast in acrylic, and vintage photographs. SNAG would like to take this opportunity to recognize our Corporate Members for their support: Facèré Jewelry Art Gallery, Halstead, Jewelers Mutual Insurance Company, and Tim Roark Imports.